Tag Archives for " HelpScout "
I was recently talking to a group of small business owners and marketers about the notion of creating a better customer experience and I asked members of the group to share what works for them. One of the group members confided that while they do lots of things to wow their customers the most profitable thing they do is ask their CEO to write a hand written note of thanks to every customer’s CEO. Not only does this create buzz in throughout the organization it raises the profile of the sales and service people doing the work inside of these organizations. Genuinely expressing gratitude is one of the best ways possible to create a positive customer experience and it’s such a simple thing to make part of who you are as an organization. 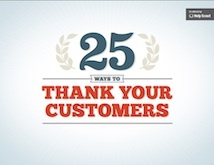 Recently the folks at HelpScout put together a fabulous free ebook with 25 great ways to thank your customers. Sometimes just a little creativity can spark tons of buzz and talk as so few organizations make saying thank you, you know that thing your mom probably taught you about the time you could walk, a part of their marketing follow-up. We’ve partnered with HelpScout to bring you this important free resource – Go here and grab 25 Ways to Thank Your Customers today – you can thank me later! Guide by Help Scout, the invisible help desk software for small businesses who care about customer service. 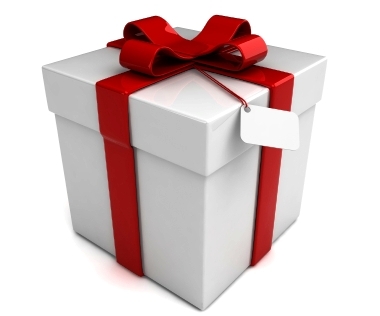 Get more free Help Scout content by reading their customer loyalty blog.